Traffic accidents are one of the biggest problems many urban areas face. In fact, these can cause death and injuries to people and even damage properties in all surrounding areas. Due to such unfortunate instances, city officials should take steps to decrease the number of accidents that could happen. Almost every city has a special office or agency that is responsible for traffic management. If the agency were to be effective in its job, the city administrators should provide it with the right equipment and tools. Among the most important things they should have are speed radar guns, which helps monitor vehicle speed for cars and trucks. Purchase the needed number of speed radar guns in your city so traffic enforcement agencies can properly track vehicle speed. The city should make an effort to have an education program for drivers that is results-based and functional. These education programs are usually where drivers learn how to drive and read traffic signs and symbols, so it has a crucial impact on the city’s traffic management plan. Without skilled and informed drivers, any vehicular accident reduction plan is bound to fail. To help improve existing programs, the city should bring in various stakeholders so it will be more effective. To avoid further accidents and issues, the city administrators and officials should advocate for more legislation and ordinances that can reduce accident statistics. For example, a ban on driving while intoxicated could have a considerable impact on the number of accidents. Requiring the wearing of certain safety tools will also help. The results may not be immediately seen but it will have an impact, for sure. This is something that most people tend to forget about streets: They were originally made to accommodate walking. The fact that some drivers tend to act as if they own the streets they travel on can be frustrating. Cities should make it clear that cars should not endanger the lives of people crossing and walking along streets. This way, they will understand the value of being more careful. Apart from traffic management, one of the reasons the number of traffic accidents rises is because of sprawl development. If the city is unable to rein in urban development while failing to offer competent public transportation, the result is that more people will be more inclined to buy cars. Compact urban design will be more beneficial for everyone especially those working on traffic management functions. 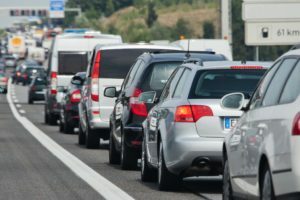 When trying to address traffic accident problems, always remember that it is a problem that is caused by multiple issues. The solution should answer these multiple causes as well. This will help facilitate the reduction of traffic accidents and issues. Divorce: Division of Feelings, the Kids …and Assets?